The governing body of the City of Hartselle has adopted Resolution No. 17- 0425 to commence services rendered by the Alabama Department of Revenue in the administration and collection of the sales/use taxes and any other additional taxes for the City of Hartselle. This Resolution is effective July 01, 2017. Therefore, your first City of Hartselle local tax return filed with Alabama Department of Revenue is for the tax period ending July 31, 2017, which is due on or before August 21, 2017. The Law requires that Hartselle local taxes be collected, reported and remitted in the same manner as the State sales, use, rental and lodgings taxes. 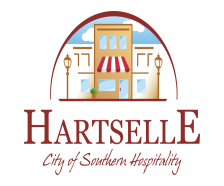 When you file and pay electronically, the City of Hartselle local taxes are to be included on the electronic city/county tax return assigned to you (City and County Form 9501). Enter the gross amounts and deductions and then all of the calculations will be done automatically for you. You may file these taxes through My Alabama Taxes (MAT) at https://myalabamataxes.alabama.gov. You can view and verify City of Hartselle’s local tax rates at http://www.revenue.alabama.gov /salestax/sales /index.cfm. Effective August 1, 2017 the City of Hartselle will begin collecting our own tobacco taxes, making your first City of Hartselle local tax return due on August 20, 2017 for the tax period ending July 31, 2017.